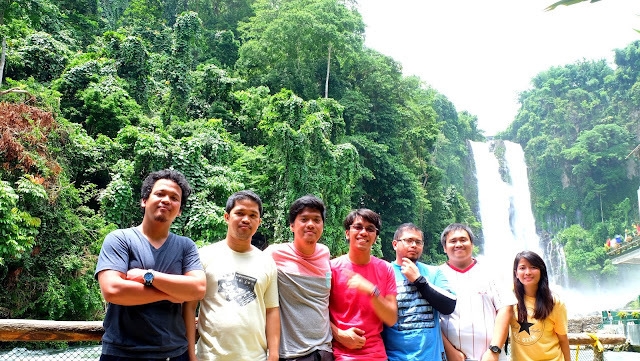 We've spent the last day of our Northern Mindanao Trip in Lanao del Norte. It was exactly lunchtime when we arrived in Iligan City. Our driver suggested to eat our lunch in a restaurant located in front of Macaraeg-Macapagal Ancestral House, former presidents Diosdado Macapagal and Gloria Macapagal-Arroyo's residence in the province. 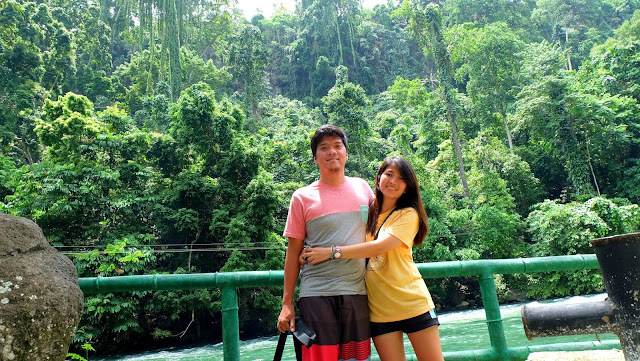 After making ourselves full, we crossed the highway to drop by the ancestral house which is now considered as a heritage house and tourist destination in Iligan. Unfortunately, the visiting hours on that day was cut short and we weren't able to get inside. We headed to NPC Nature's Park to see the grandest and its main tourist attraction, the Maria Cristina Falls. 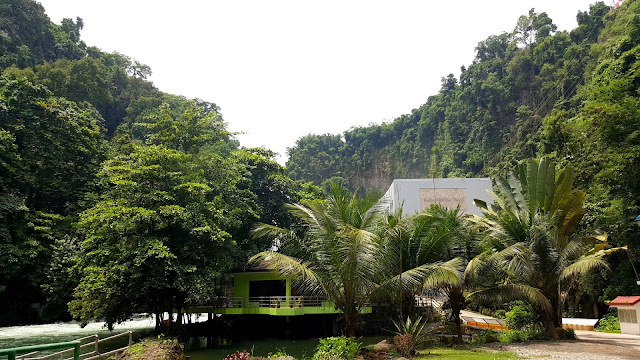 The ecological park is owned by the National Power Corporation, it was developed as the site of the hydroelectric plant that supplies 70% of Mindanao's electricity. 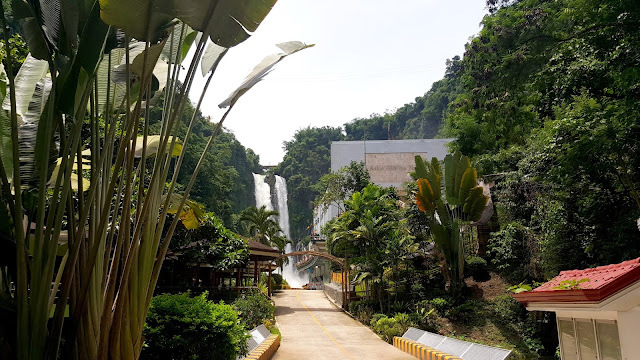 Aside from the power plant, it has mini-zoo and crocodile farm too but we haven't explored much due to our limited time. After paying for an entrance fee of 30 pesos, we entered the complex with our van. The place has wide concrete roads and on the left side was the Agus River. We almost hit a salamander camouflaged as a twig resting in the middle of the road, it immediately ran away, thanks to its reflexes! We parked near the restaurant which is also the viewing deck. 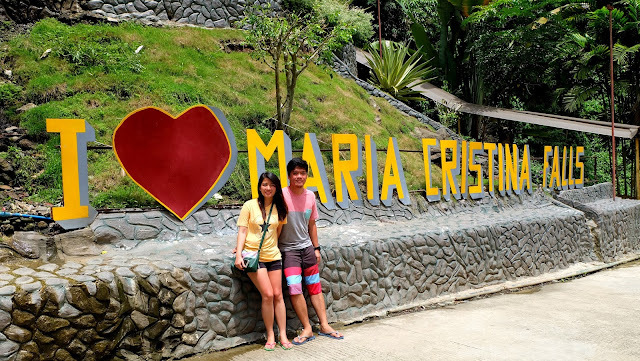 We were so stunned upon seeing Maria Cristina Falls! 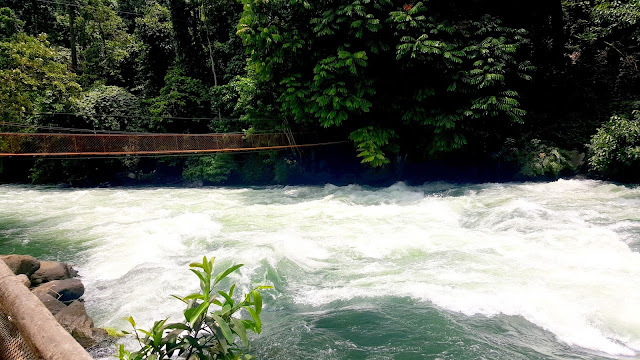 The water flows gracefully and generously into the Agus River, it was so majestic! It was my first time to actually see a waterfall with such a large water volume coming from its powerful twin drops. 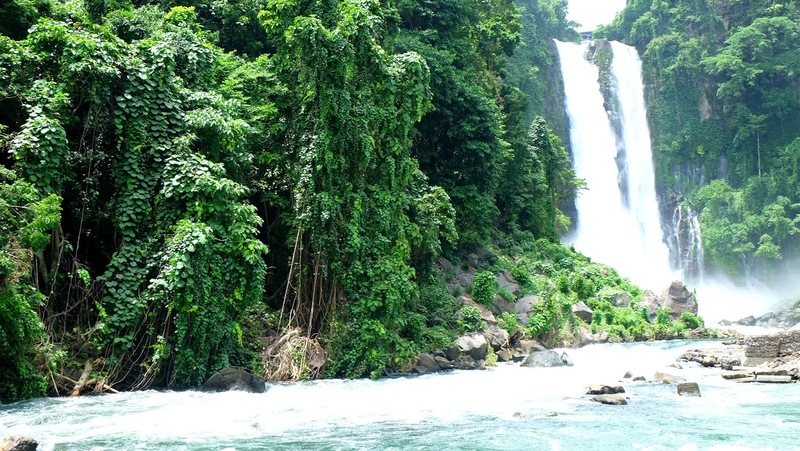 No wonder, its hydro power can provide steady and reliable electricity supply to Mindanao at low cost. 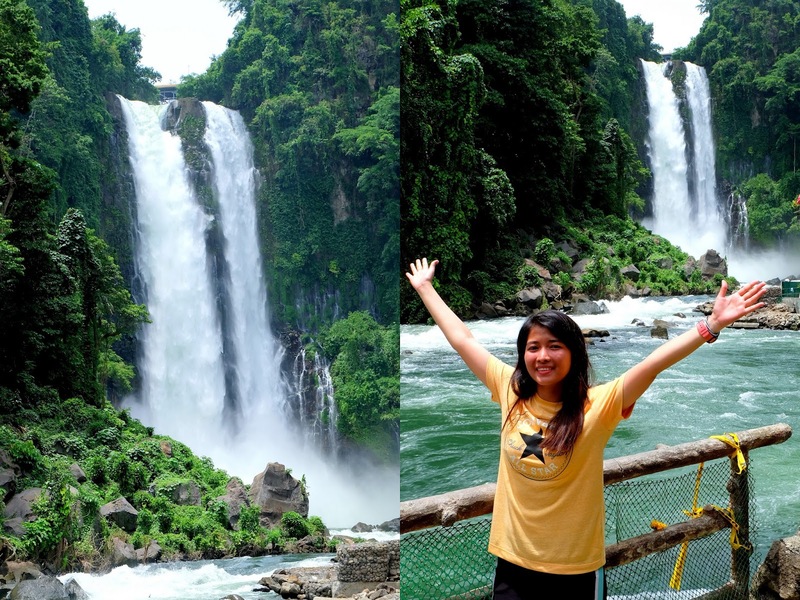 It is definitely God's gift to Mindanaoans. 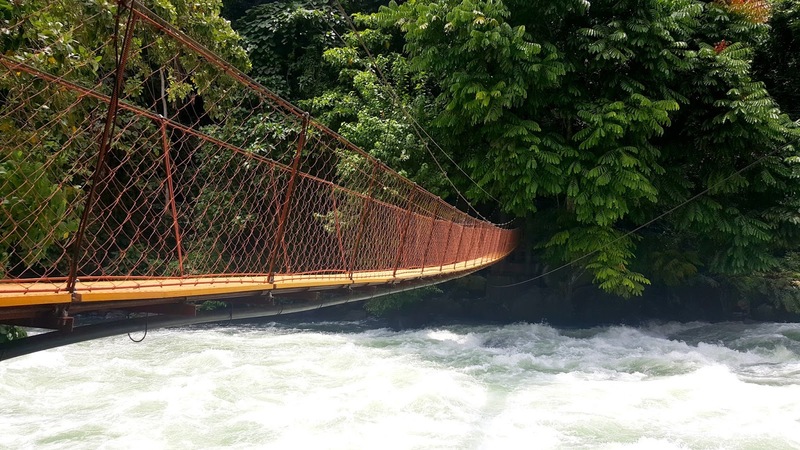 Tourists are only allowed to gaze at this natural gem up to the viewing deck, it is restricted to go anywhere near the falls and even swim. And I swear you won't dare go swimming in its basin with a rapid current flowing towards the river. With its combined beauty, charm and power, Maria Cristina Falls can be considered as the queen of all falls in the Philippines. Growing up reading only about this natural wonder in Geography textbooks, it was such a delightful feeling to witness its showering elegance up-close.